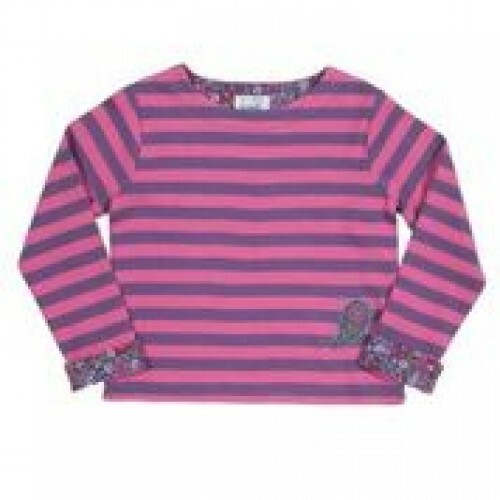 Ditsy Stripe Top. Soft interlock jersey, Yarn dyed stripe. Cuff, neck and slit facings in ditsy print. Paisley applique at hem. 95% organic cotton 5% elastane.